In the past, many marijuana businesses operated as criminal enterprises paying employees with cash under the table and ignoring state labor laws. But with the passage of Proposition 64 legalizing recreational marijuana, cannabis business owners can no longer avoid California’s labor laws. Helios Dayspring, the owner of Grover Beach based House of Holistics, also operates more than a dozen Central Coast marijuana grow operations with multiple partners. Dayspring’s marijuana farms are generally overseen by a primary employee who is offered a portion of the proceeds for the work, several sources involved with his marijuana business said. 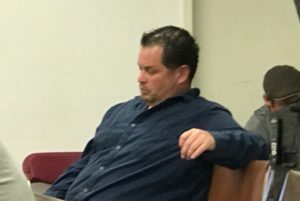 According to the lawsuit, Dayspring contracted to pay former employee Tony Brocking 1/6 of the monies from three California Valley cannabis grows that Brocking tended. However, Dayspring refused to pay Brocking after the cannabis sold, the lawsuit alleges. In 2017, Brocking harvested 1,001 pounds of cannabis for Dayspring, which then sold for $3,600 per pound for a total of $3.59 million, according to the suit. In addition to the breach of contract allegation, Brocking’s suit claims that Dayspring violated labor laws by not providing pay stubs, not paying overtime, and not providing lunch breaks or suitable work conditions. 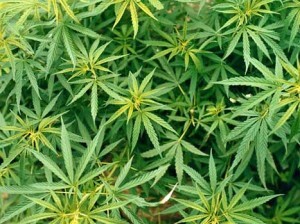 While managing the grow, the defendants required Brocking to stay on the property while managing the grow. The farm house on the property did not have hot water, a sink, a stove or a shower. Dayspring required Brocking at all times guard against “weed pirates,” according to the lawsuit. “Defendants told Brocking that he needed to keep firearms at the ranch house in which he was staying in case anyone came to loot the crop,” the lawsuit says. Brocking is suing Dayspring, House of Holistics, Matthew Maier, and Knut and Michael Siegfried. His suit includes 15 causes of action including breach of contract, fraud in the inducement, intentional misrepresentation and multiple violations of the California Labor Code. He is seeking compensatory, exemplary and punitive damages. “These deplorable acts caused plaintiff to suffer severe emotional and physical distress making defendants guilty of oppression and malice, justifying an award of punitive and exemplary damages, the lawsuit reads. House of Holistics made SLO’s best last year and 2nd place the year before. I looked online and it says they were incorporated in 2011. Has there ever been any other claims like this against this company? Or against this Dayspring. If he’s operating 12 farms it seems this would be a prevalent complaint if it’s true. I’ve watched Helios Dayspring take people that were struggling put them on their feet and give them responsibility and something to be proud of. His methodology of hiring, promoting, and eventually leading the capable to their own management and partnership is exactly how a business should be ran. I have been a partner of Helios’s in a Santa Barbara county property for nearly 5 years. I have watched Helios take the shirt off his back to keep his word to his partners, friends, and employees. Helios should have articles praising his drive and dedication to this community. Shame on you Cal Coast news for always trying to cast a dark shadow on a community figure. I can guarantee the writer of this article has never reached out to Helios. Because if she did she would probably have a much different idea about who he is, and what he’s about. It is well understood that operating a successful cannabis business in the last few years has been difficult to say the least. Many laws and protections regular businesses and employees take for granted have not been available to those in the cannabis industry, until recently. Anyone involved in the cannabis industry will question the numbers listed in this article, and apparently the lawsuit. It reminds me of when law enforcement would seize marijuana and claim the value to be 4k+ a lb, illegally destroy it, and later when they are ordered to compensate the party they seized it from they would only pay 1k a lb. Something isnt right there. I know both parties involved and I can tell you without a doubt something is not right here. I’d error on the side of caution and recommend those interested to do their own research and see who involved has shown to be looking out for the best interest of their community. Correct me if im wrong but sometimes a feeling of entitlement lands people in court and i’d wager the author understands this while she appeals the 1mil defamation settlement against her. I cannot imagine what kind of crap marijuana Brocking grew in Cal Valley, and this con artist sold to unsuspecting customers. The ground out there is crap. The water, what little there is, is nonpotable….which is still bad for a crop. To grow “green buds” these idiots use a massive amount of nutrients, pesticides, and other garbage. Unlike the beautiful soil of Mendocino or Humboldt, Cal Valley, where I live, has garbage soil, which produces garbage pot. Worse is the garbage, crime, discarded “security” dogs, and abandoned grow sites. This article highlights how uneducated and corrupt SLO County is. Highest bidder should not be a way to organize legal marijuana businesses and sales. Expertise, permits, and a great work ethic should be the ideals for these businesses. Dayspring was the voted by John Shoals and Jeff Lee as their favorite pick to operate a pot shop in Grover Beach. It is well known that he rips off employees and his partners. To take advantage of an employee who gave thousands of unpaid hours should be a crime. Good for Tony to do what is right and bring this behavior into the light. Once upon a time Mad Magazine provided the cartoon “Spy vs Spy”, today someone should draft a cartoon series, “Stupid vs Stupid”. This could make today’s news more interesting.